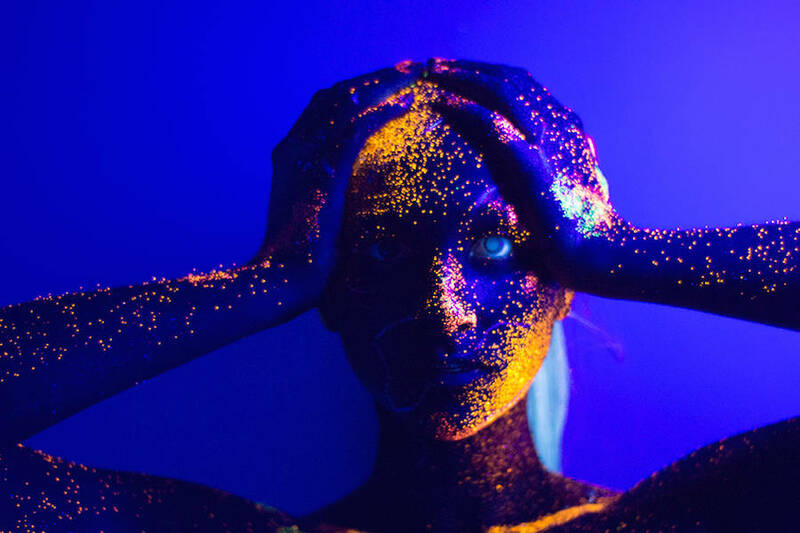 Photographer Adriano Rodrigues is the author of the portraits series Neon Dream. 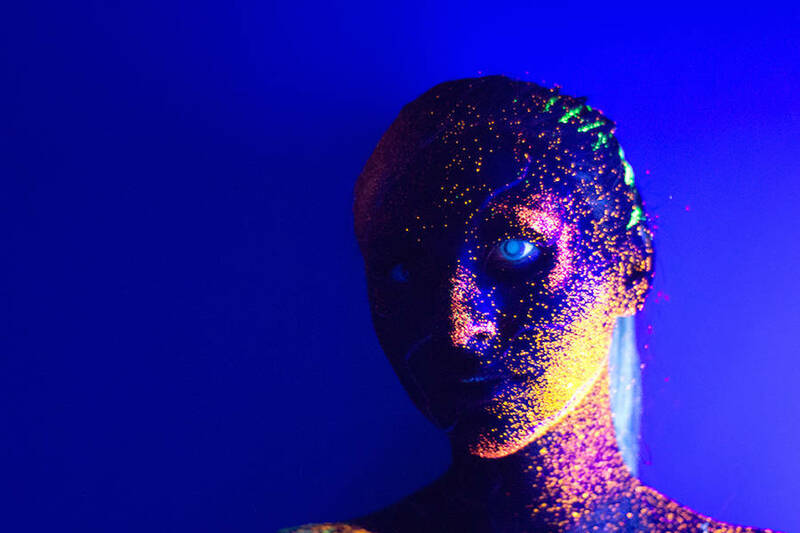 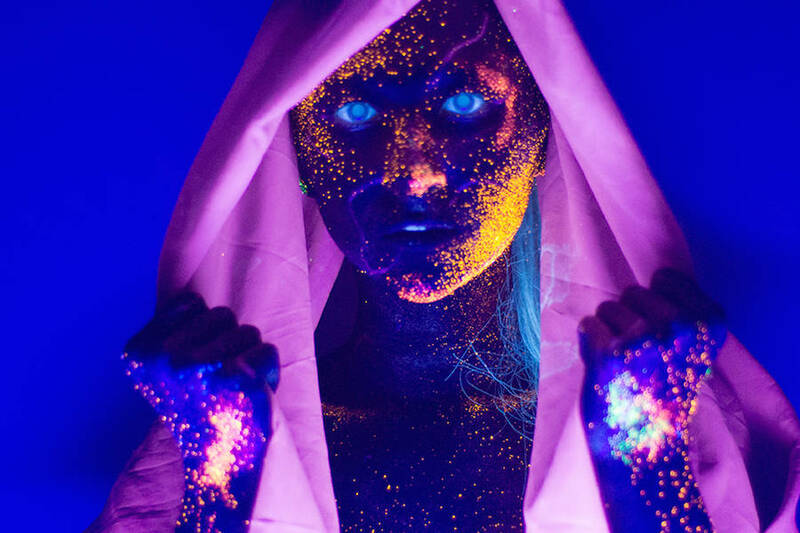 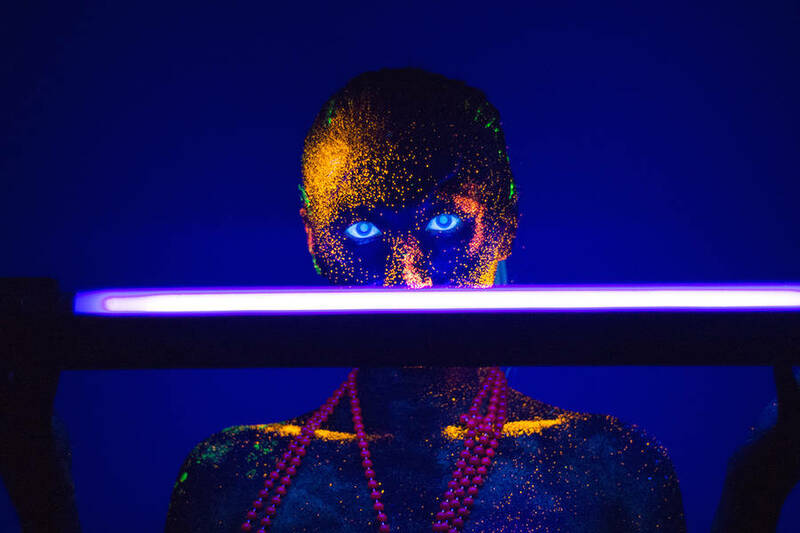 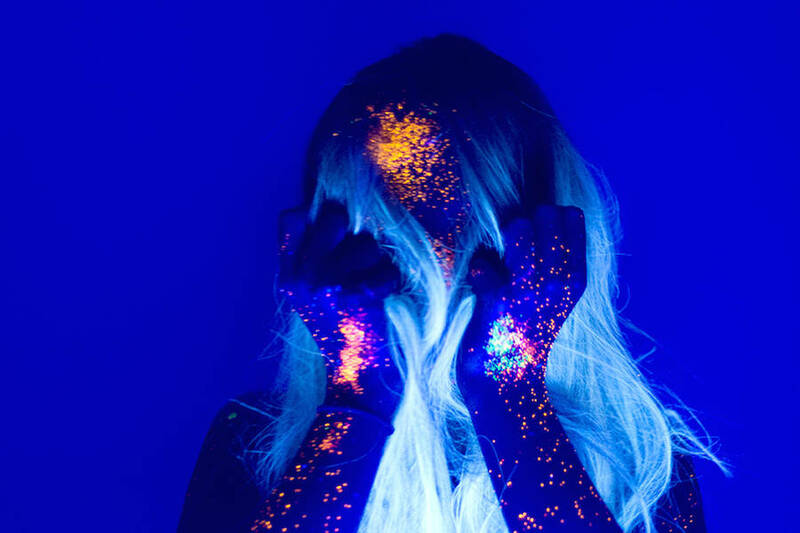 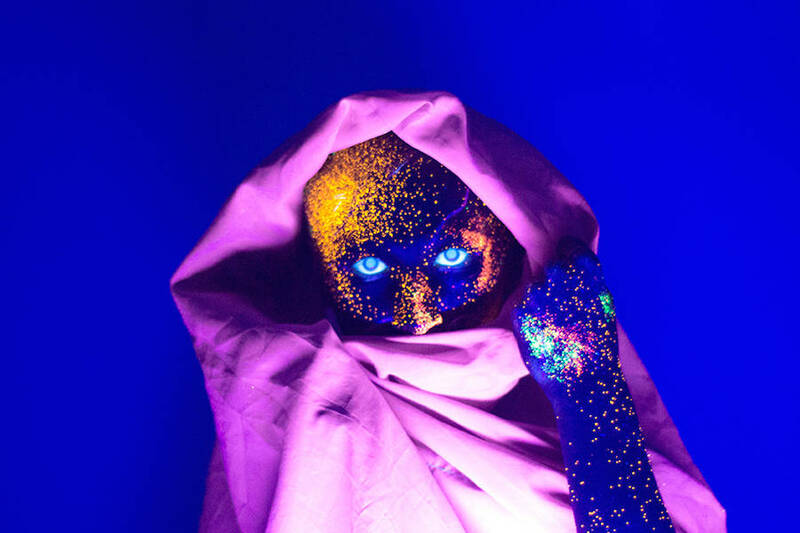 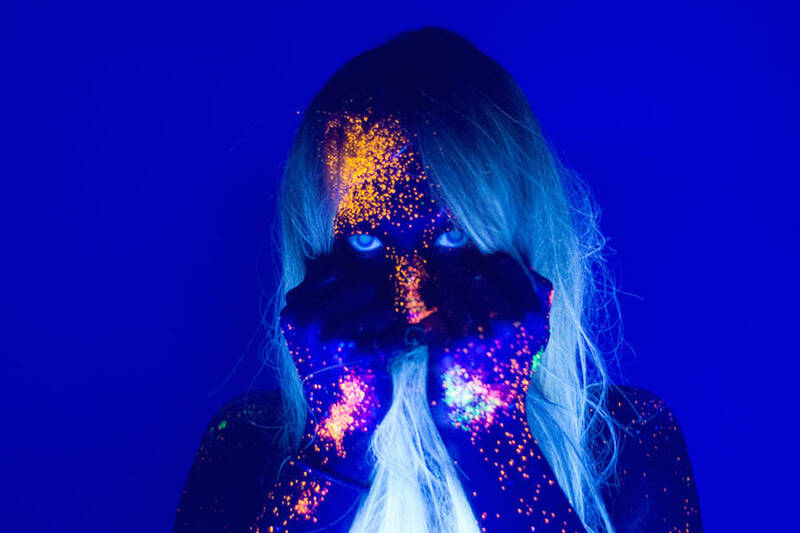 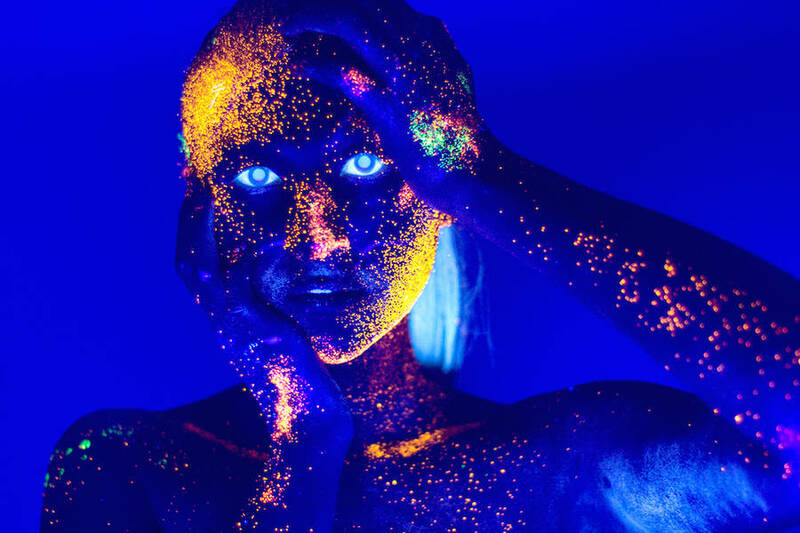 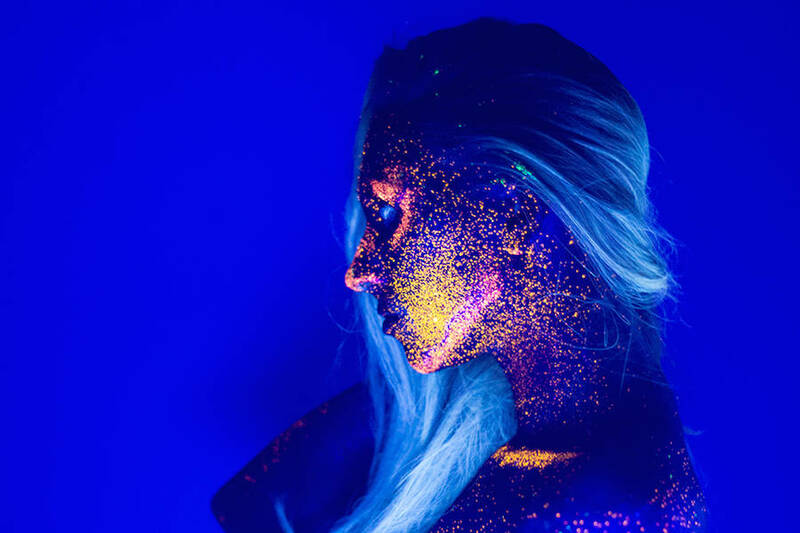 In collaboration with professional Breeanna Nichols and model Sarah Luke, he imagined cosmic portraits and used a special makeup reacting to UV lights of a black light. 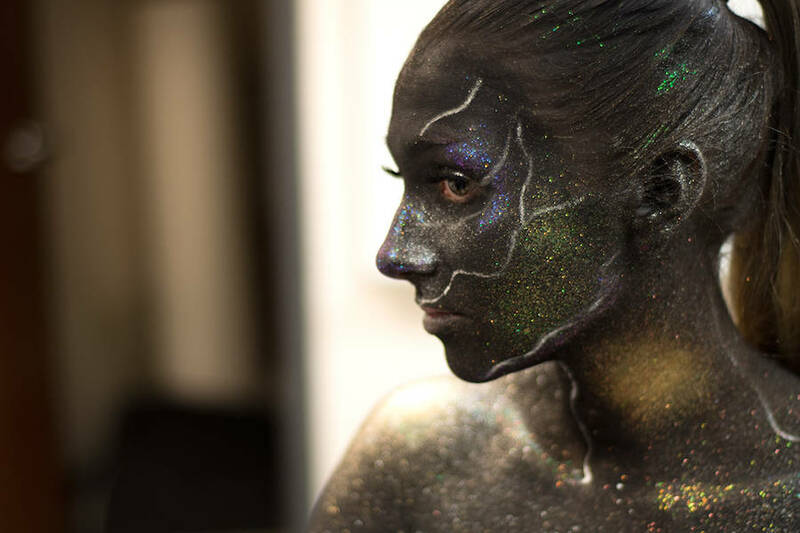 After 7 hours of work, the result is fantastic.